The man on the phone was desperate. The Belgian professional had spent the past five years building a life in the United States, but he had not been able to secure a green card. Now, he was facing the prospect of having to leave for five years, per US immigration law. Technology companies depend on professionals from foreign countries to remain innovative and competitive, but experts say the difficulty such professionals face in navigating the immigration system and securing green cards is contributing to a so-called reverse brain drain, with talented engineers leaving the US and returning to work in their home countries, including India and China. In 2006, there were about one million skilled professionals vying for just 120,000 green cards available in their area of expertise, according to Vivek Wadhwa, author of The Immigrant Exodus: Why America Is Losing the Global Race to Capture Entrepreneurial Talent (Wharton Digital Press, 2012), adjunct professor, and distinguished fellow at the Integrated Innovation Institute, Carnegie Mellon University, Silicon Valley Campus. The wait for a green card could be a decade or more, leaving foreign-born employees in limbo, unable to change jobs or start their own companies. Today Wadhwa estimates there are about 1.5 million skilled workers in US immigration limbo. Some are unwilling to wait. Controversy over DACA (Deferred Action for Childhood Arrivals) and travel restrictions affecting eight countries, six of which are majority-Muslim, suggest an overall worsening climate for immigrants, even those with specialized skills. In April, President Donald Trump ordered a review of the H1-B visa program, which grants temporary work visas to foreign professionals with specific skills that companies say they cannot source locally. 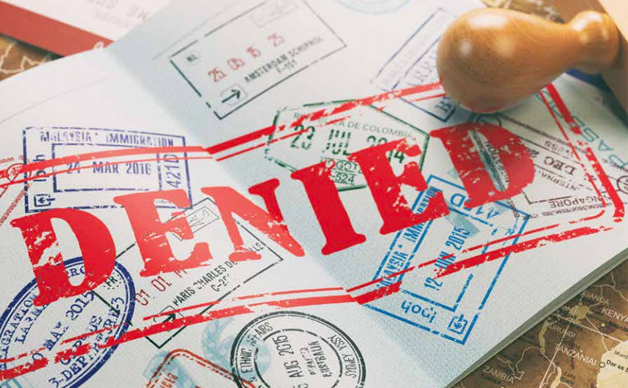 Fears of increasingly restrictive immigration policies are especially detrimental to the US technology sector, where as many as 15 percent of employees at some companies have an H1-B visa. In addition to the fierce competition for top talent that has always existed among technology companies in the US, such companies now face increased competition from technology companies abroad. India has its own Silicon Valley — Bangalore — and China and Singapore are also home to many technology start-ups and established companies. Professionals who return to their home countries with knowledge gained at US universities and companies have a strong advantage in the local labor market, giving them further incentive to abandon their dreams of permanent residency in the United States. Tech companies have banded together to speak out against policies that make it difficult to recruit and retain immigrants. The focus of their public advocacy has been on DACA and the travel ban, however, not employees here on H1-B visas, a strategy that speaks to the sensitivity of the H1-B visa program and the perception that it takes jobs away from Americans, experts say. Tech companies maintain that they must recruit the best and brightest from the global marketplace to keep the United States competitive in the technology space. Zander Lurie 99B 99L is CEO of SurveyMonkey, a privately held online survey company based in Silicon Valley. “Being able to get the best talent from anywhere is an essential resource for many companies, especially if they want to stay innovative and competitive in the market,” he says. In addition to the fierce competition for top talent that has always existed among technology companies in the US, such companies now face increased competition from technology companies abroad. The company has joined with other tech firms in support of DACA and against the travel ban. Lurie would not comment on specific personnel matters related to recruiting and retaining foreign-born talent at SurveyMonkey. The difficulty in navigating the immigration system during politically tumultuous times has meant more business for US immigration attorneys and heightened interest among law students, Kuck says. His most recent class was his largest in 18 years of teaching at Emory Law, with 75 students. Kuck says he sees no imminent resolution to the debate over who gets to come to the United States, which “has been festering since 1776. One of the most valuable skills that a good lawyer brings to the table in the tech space is a partnership mentality.